...Manhattan was overrun with spooks and ghouls. Slime oozed from every nook and cranny of the city. The atmosphere throbbed with paranormal activity. So who did New Yorkers call...? The Ghostbusters! Armed with proton packs, they zapped and toasted every ghost in town. Once again, the Big Apple has proved it's rotten to the core. And this very rottenness could prove to be its undoing. Five years later, the Ghostbusters have discovered a huge river of slime running underneath the city. This time, it's mood slime - feeding off the meanness, rudeness, and general ill-will that permeates the city. This river of slime is flowing directly to the Manhattan Museum of Art, headquarters of Vigo, the Scourge of Carpathia. Trapped inside a portrait, this legendary blood-thirsty tyrant from the 17th century is impatiently waiting for the stroke of midnight on New Year's Eve. Then he will emerge, drawing together all the evil potency of the slime to unleash a reign of terror upon an unsuspecting world. So, who ya gonna call this time...? The Ghostbusters! Join them as they run through the city, blasting slime and dodging ghosts; race around the streets in the Ecto-1A; and guide the Statue of Liberty through treacherous, ghost-infested waters into Manhattan. If you succeed, you'll meet Vigo in a slime-slinging battle to the finish! If you fail, Manhattan will drown in a sea of slime, and Vigo will be loose to control the world. 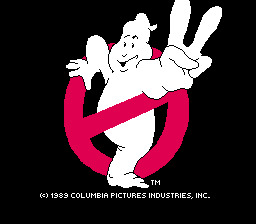 --From the NES Ghostbusters 2 instruction manual.